An advanced age-defying 3-in-1 serum, essence and treatment oil to instantly smooth and hydrate while brightening the complexion, for skin that is revitalised and glowing. Antioxidant Macroalgae Cell Extract helps smooth the appearance of fine lines, White Truffle Extract helps boost elasticity, while Coconut, Jojoba and Avocado Oils help nourish and strengthen skin’s moisture barrier. Vitamin C boosts radiance. Warm 1-2 pumps in the palm of your hands. Place your hands on both cheeks, then one hand on your forehead and one on your chin to apply the formula. Slide hands up your décolleté and neck, then work in small upward circular movements to spread over the rest of your face up to your hair line. Water (Aqua), Almond/Borage/Linseed/Olive Acid Glycerides, Glycerin, Butyrospermum Parkii (Shea) Butter, Caprylic/Capric Triglyceride, Cocos Nucifera (Coconut) Oil, Phenoxyethanol, Prunus Amygdalus Dulcis (Sweet Almond) Oil, Palmitic/Stearic Triglyceride, Bentonite, Macadamia Ternifolia Seed Oil, Simmondsia Chinensis (Jojoba) Seed Oil, Limonene, Xanthan Gum, Ascorbyl Glucoside, Sodium Hyaluronate, Citrus Aurantium Dulcis (Orange) Peel Oil, Caprylyl Glycol, Ethylhexylglycerin, Acacia Senegal Gum, Tocopherol, Tuber Magnatum Extract, Cedrus Atlantica Bark Oil, Citrus Aurantium Bergamia (Bergamot) Fruit Oil, Citrus Nobilis (Mandarin Orange) Peel Oil, Inulin Lauryl Carbamate, Olive Oil Decyl Esters, Benzoic Acid, Alaria Esculenta Extract, Sclerotium Gum, Pelargonium Graveolens Oil, Oenothera Biennis (Evening Primrose) Oil, Dehydroacetic Acid, Citric Acid, Hydrated Silica, Undaria Pinnatifida Extract, Tocopheryl Acetate, Persea Gratissima (Avocado) Oil, Cananga Odorata Flower Oil, Citrus Aurantium Amara (Bitter Orange) Leaf/Twig Oil, Linalool, Chitosan, Geraniol, Potassium Sorbate, Glucose, Citronellol, Lactic Acid, Squalene, Citrus Aurantium Dulcis (Orange) Flower Oil, Cymbopogon Nardus (Citronella) Oil, Jasminum Officinale (Jasmine) Flower Extract, Litsea Cubeba Fruit Oil, Myrocarpus Fastigiatus Oil, Citral, Benzyl Benzoate, Sodium Benzoate, Chondrus Crispus Extract, Chlorella Vulgaris Extract, Benzyl Salicylate, Helianthus Annuus (Sunflower) Seed Oil, Farnesol, Sea Salt (Maris Sal), Citrus Aurantium Amara (Bitter Orange) Flower Oil, Rosa Damascena Flower Oil, Beta-Carotene, Daucus Carota Sativa (Carrot) Root Extract, Daucus Carota Sativa (Carrot) Seed Oil, Ascorbyl Palmitate. 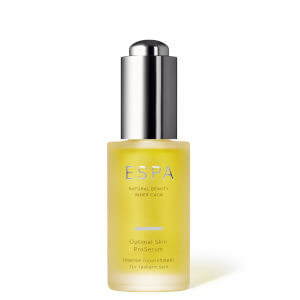 I have dry, mature skin and I find I can use this serum on its own as a night time therapy. Two pumps is enough to cover face, neck & decolletage. My skin feels smooth, firm & looks fresh & radiant. This Advanced instant facial is the treat for your skin! I love the way it makes my skin firmer after I use it. Best product ever! I love this Tri-Active Advanced Instant Facial. Always when I use it, my skin looks like photoshopped. In the reviews, I saw that people don't really like the smell, for me its the complete opposite, I love it! Very natural, you really feel like you do something good to your skin. I had this product in two miniature samples and have been using it before make up for quite some time. I must say it is perfect in the morning, absorbs in seconds and gives just enough moisture to my skin, which is in between normal and dry. Texture is very light. 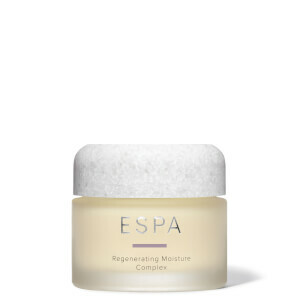 Using it together with other ESPA prodcuts, I no longer need any foundation because my skintone got way more even. The only reason I'm not getting full version, sadly, is its very strong smell. To me it smells like bay leaf and black pepper which I don't like. How on earth I have not found this product range before is beyond me. It does exactly what it claims my skin feels completely different. 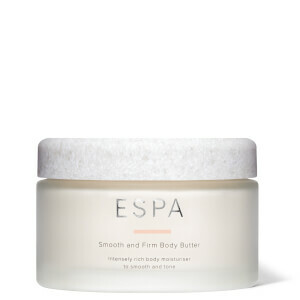 Soaks into skin instantly leaving it feeling smooth, moisturised and gives a healthy glow. Lovely to use this ‘one step does all’ product. It smells nice, like a spa; and has a lovely creamy consistency. I use it every morning after cleansing and toning. Sits nicely under moisturiser and makeup. Excellent. I read all the reviews of this product before purchasing and had high expectations. I had to return it after a few uses as I thought it had “gone off” because of the unpleasant smell. The customer service was excellent and I can’t fault it. Unfortunately when the replacement arrived it had the same aroma so it appears that the unpleasant smell is actually how this product smells. I am unable to use it as I cannot bear the smell on my skin. A very expensive mistake. On a plus note the pro-optimal moisturiser sample I received was lovely, the smell was really nice and the texture on my sensitive skin was perfect. I would recommend that product. Excellent company, excellent service and beautiful products. I've been using them for the last 8 years and wouldn't thinking of using anything else.